Ingela said:"Atlantis books - a GREAT bookshop. As their web site is explaining, it was opened in 2004 by some Americans, some English guys and Maria from Cyprus. The shop has a very cozy, homey atmosphere: they live there, they cook there and sometimes one can even get a meal there. They have a big material hanging on the roof having all the names of people who have worked there during the years. They have a great selection of books and editions that one can't find anywhere in Greece (not that I know of anyway). All of us living here are very happy to have a such a bookstore close by." Atlantis Books resides in the basement of one of the white houses that create the typical scenery of the beautiful island of Santorini. Although Santorini is one of top Greek tourist destinations, it is still a rather remote island in the Mediterranean with a population of about 7000 and finding a bookstore like this in one of its small villages must seem like a gift from the ancient Greek gods. In four years of its existence, Atlantis Books has become one of the island's main attractions and has received praise and worship from practically everyone who has been lucky enough to visit it. The story describing the birth of this bookstore is fascinating enough to deserve a post of its own, and it should also serve as inspiration to all those who argue that trully independent bookstores don't exist anymore. Check out the full story on their website, we'll only mention that this bookstore has originated in the whirlpool in an eager-to-be-emptied bottle of Greek wine. 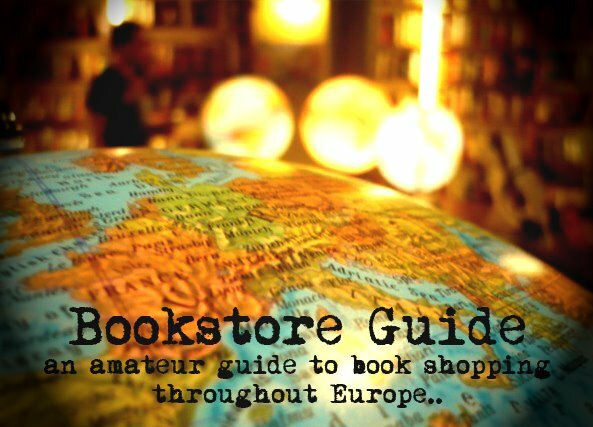 Or in other words - how often does it happen that you go on a vacation to a different continent and end up running a bookstore there? 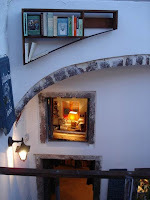 Located in Oia, a small village on the island of Santorini, this bookstore opened up in 2004. The founders of this bookstore claim to be inspired by the legendary Shakespeare & Co in Paris, and thus the bookstore is not their workplace but their place of residence and their way of life. Atlantis books also hosts poetry readings, theater performances, movie screenings and other sorts of cultural events on regular basis. The offer of this bookstore is far beyond what you'd expect in a small Greek village. Its selection of English titles, whether fictional or non-fictional, goes unmatched far beyond the island.